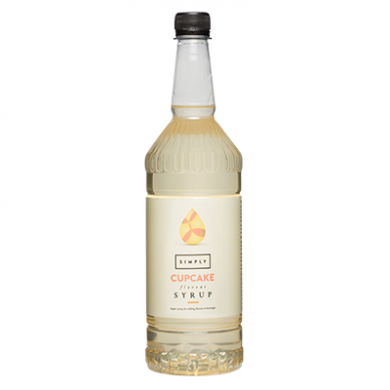 Simply cupcake syrup is delicious and also amazing value in a large 1 litre plastic bottle. Simply cupcake syrup is free from plant extract and so has a longer life once opened - important if on display on a hot counter. Our delicious cupcake syrup is a new flavour which we expect will be good for flavoured coffees as well as desserts and cold drinks. Ideal for use in coffee, cocktails, shakes and smoothies. Free from artificial colours and flavouring.